What a dream job–being asked by the Canadian Hearing Report to produce a consumer column in a journal for hearing professionals. I admit my first thought was something like, whoo-hoo, payback time! An opportunity to stuff all those years of torturous hearing tests, frustrating discussions, and expensive hearing aids into the cannon and blast it! But on second thought, I no longer feel that way toward hearing health professionals. My former emotions have long-since morphed into a healthy admiration for audiologists, manufacturers of assistive technology, and, frankly, anyone who dedicates their work to improving the quality of my life. That gentle admonishment stopped me in my tracks and brought home how far hearing science had come since I was 3 years old and the pediatric ENT told my parents that hearing aids would never help me. My husband’s reality check was one of those life-changing moments that ultimately spurred me to a life of hearing loss advocacy. • We must be proactive and use all available communication tools and strategies, to the best of our ability. • We must communicate our needs to others. To live by these principles, people with hearing loss need support from many sources, including from our hard-of-hearing peers, but most specifically from our hearing care professionals. If we have even the tiniest motivation to break through the barriers and achieve successful communication, we must look at hearing professionals as our allies. Although this might seem like a no-brainer to practitioners, it represents a seismic shift in consumer attitude, especially from those of us who are long-time hearing aid users. As with most people who have hearing loss, my annual hearing check-up was not a red-letter day. Getting the same news year after year was depressing: Your hearing has dropped. No, it won’t get any better, so don’t expect a cure. It’s time for new hearing aids. Yup, they’re still ugly. Doubled in price, too. But now, thanks to an explosion in hearing technology and access to information, the old stigma is drifting away, and a new consumer population is evolving–one with a better grasp of the complexities of managing hearing loss. As a result, we expect today’s hearing professionals to be well-trained experts in diagnostics, technology, psychology, and communication strategies. We depend on you to provide quality hearing aids, answer our difficult questions, and search out solutions to our communication needs. You are also expected to face us when you talk to us! And, frankly, we don’t feel all this is too much to ask. In fact, we ask for one more thing, especially for those of us who are new hearing aid users: Provide us with aural rehabilitation programs that ensure we incorporate these necessary communication strategies into our everyday lives. Its premise is that aural rehab is not limited to a course of action prescribed by a hearing care professional. Instead it begins with the first personal suspicion of a hearing loss, which starts a communication journey that will be most successful when supported by a solid consumer-professional relationship. As both a hard-of-hearing individual and as a member of several consumer hearing loss organizations, I celebrate this partnership and look forward to sharing our perspective in future articles. This Hearing View originally appeared in Canadian Hearing Report, 2011, Vol. 6, No. 3, p. 22. It is published here with the permission of that publication and of the author. Gael Hannan is a writer, actor, and public speaker who grew up with a progressive hearing loss that is now severe to profound. As an advocate for hard-of-hearing people, her work includes giving speechreading instruction, building hearing awareness, presenting workshops for youth with hearing loss, and serving on hearing access committees. A resident of Toronto, she serves on the national board of the Canadian Hard of Hearing Association (CHHA). Gael is also a key developer and manager of The Hearing Foundation of Canada’s award-winning Sound Sense hearing awareness program for elementary students across Canada. 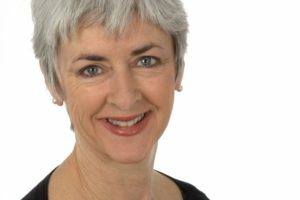 She has written numerous magazine articles as well as employment-related manuals for the Canadian Hard of Hearing Association and The Canadian Hearing Society. Known also for her humorous and insightful presentations on hearing loss, Gael has developed Unheard Voices and EarRage!, ground-breaking solo shows that illuminate the profound impact of hearing loss on a person’s life and relationships. She has performed them before audiences around Canada, the United States, and New Zealand; a DVD/video version of Unheard Voices is now available. She has received a number of honors for her work, including the Consumer Advocacy Award from the Canadian Association of Speech Language Pathologists and Audiologists.